England plays against Italy tonight so I was looking for a quick fix recipe. 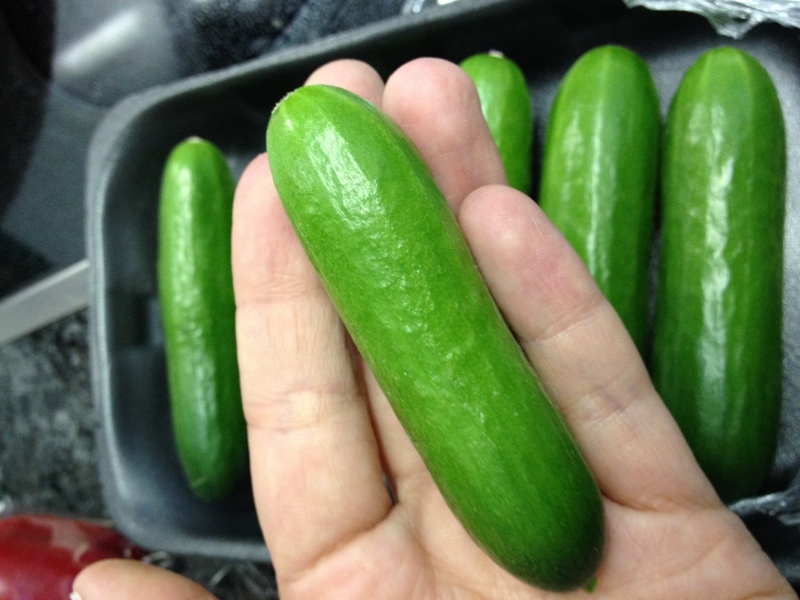 I came across tiny cucumbers at a German supermarket and decided to pickle some of them. 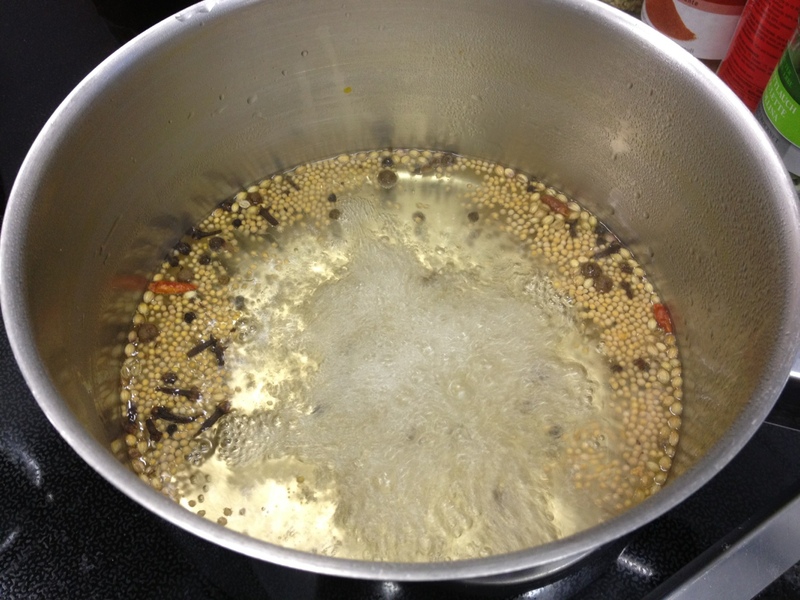 For the pickle mix I boiled 2/3 water and 1/3 vinegar with 2 teaspoons of pickled spice. 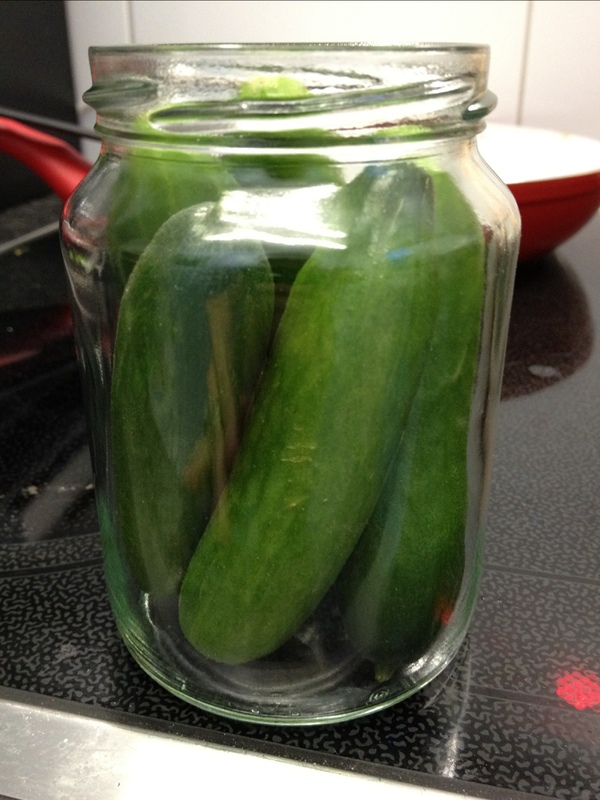 I then packed the cucumbers tightly in a jar. 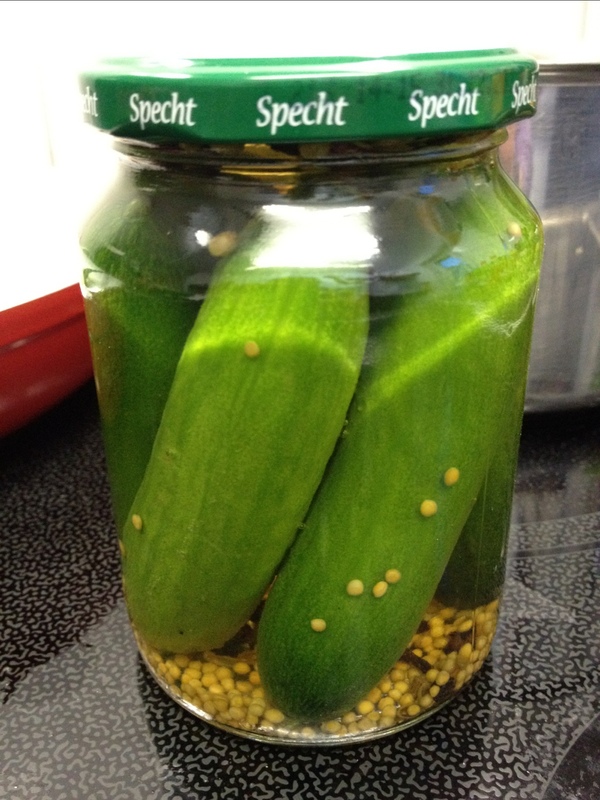 All that is left to do is pour the pickle mix over the cucumbers, seal the lid and pack it away for a week. And all done in the halftime break. Brilliant!